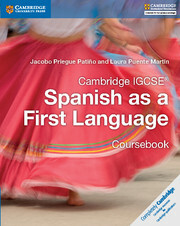 A flexible suite of resources providing full coverage of the Cambridge IGCSE® Spanish as a First Language syllabus (0502) for first examination in 2015. 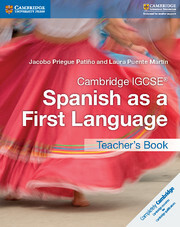 With a skills-based approach and an international focus, this coursebook promotes a deeper understanding of the Spanish language and culture. 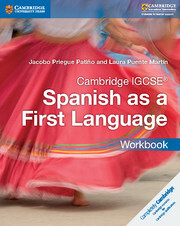 Engaging texts and activities, built around the learning objectives, develop critical thinking and support students through the Cambridge IGCSE® Spanish as a First Language course. Skills-based approach provides students with language skills that they will retain beyond the scope of the examination. Exam-style questions and clearly stated learning objectives promote self-assessment. The answers to the exam-style questions are provided in the teacher's book. Engaging activities help students acquire the desired skills in a practical way.